All we want is your satisfaction. Getting your car serviced at a dealership or big name auto repair centre tends to lead to services you never asked for, yet all of a sudden are detrimental to your car’s performance and cost you an arm and a leg. That’s why we’re here. 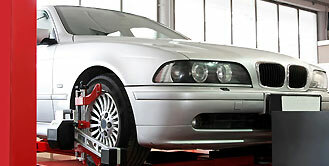 We will offer you our expert advice and inspect your car for free. If you do not want to do the service, you are free to go without being charged a cent. We believe in honest, skilled, quality service that exceeds your satisfaction and will lead you to tell others about us. If you ask for a service you do not need, we will gladly let you know so you don’t overspend on anything. Thats what we’re about. Try us, you have nothing to lose. With free inspections and quotes, who wouldn’t want that? We’re committed to your satisfaction. Stop in and you’ll know you’re in good hands! Our goal at SOS Auto Repair & Tire is to give you, our customer, the dealership type of service without having to worry about the price dealerships put on their services. All our waste products are recycled and well-disposed, to help our mother nature in any way. We believe that as long as we live we learn. That is why to be able to reach the top, we need to keep our education updated all the time, to provide you with the best, most updated service in the automotive repair industry. In order for us to be able to get better, we must evaluate ourselves to make sure we aren't veering off the path we are dedicated to provide you. We also establish new goals and standards for the overall betterment of our company, staff, and the greater community we are serving, including you. From fender benders to dead engines, we do it all! If your car is wobbling, vibrating at certain speeds, making clunking, squeaking or knocking noises, you should get it checked out. But wait… shops will charge an inspection fee… that’s why we’re here! We’ll inspect your car, test drive it and quote you the service for absolutely free. No obligation and we will not be upset if you decide to leave without doing the service. No strings attached and no questions asked. Honestly...I don't think there is any friendlier service in the whole Mississauga area! I was in the area visiting from the states and they fixed my flat very quickly and with a smile! Two thumbs up! Thanks! The service was impeccable and it was done with care. I will definitely go back for all my car needs. It is hard to find an honest shop with this excellent service. These guys are ridiculously good. Great service all the way. Professional. I changed my tires in no time ! Very nice and welcoming staff.